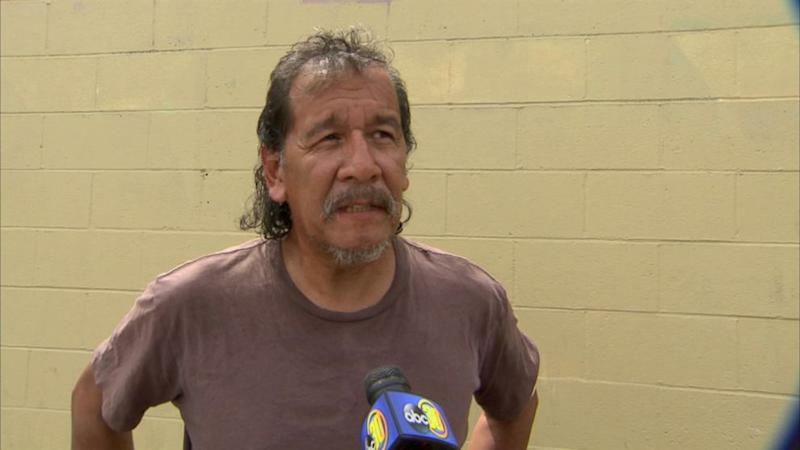 A 53-year-old homeless man is being called a "Good Samaritan" after recently helping save a 19-year-old woman who was being beaten by her ex-boyfriend late at night near a Fresno, California liquor store, according to the Fresno County Sheriff's Office (FCSO). The homeless man, Paul DeLeon, pepper-sprayed a man who pulled up in a white Lexus, approached his ex-girlfriend and began kicking and punching her, the FCSO said in a news release. DeLeon then ran away, but the suspect allegedly beating his ex tracked him down and fired several rounds at DeLeon, striking him in the arm, the FCSO added. DeLeon then "grabbed his registered handgun and returned fire, sending multiple rounds toward the suspect," though it's "unknown if the suspect was hit," the FCSO said. "The suspect then drove away." DeLeon, who was shot in the arm, received medical treatment after police arrived at the scene, and the 19-year-old who was beaten was taken to the hospital for treatment, according to the FCSO. Both are expecting to make a full recovery. DeLeon told ABC News affiliate KGO that he believed he stopped a man from beating a young woman to death. "I mean he was kicking her hard too, right in the head, and I couldn't just stand there and do nothing," DeLeon said. "I grabbed my mace, and I maced him." Dispatchers notified local police to be on the lookout for the suspect's white Lexus, which was seen speeding up to 100 mph down Highway 41 in Fresno, the FSCO said, adding that police lost sight of the car, which was later found unoccupied at an intersection. Detectives said they are searching for the suspect, who could be facing charges of spousal abuse and assault with a firearm. DeLeon was not arrested or charged and was called a "Good Samaritan" by the FCSO. Deputies have a good idea of who the suspect is, but they did not publicly identify him as of Friday afternoon, KGO reported, adding that they said DeLeon did a great job by intervening, but it's usually better to call 911 to get help. The FCSO did not immediately respond to ABC News' requests for updates to the investigation.